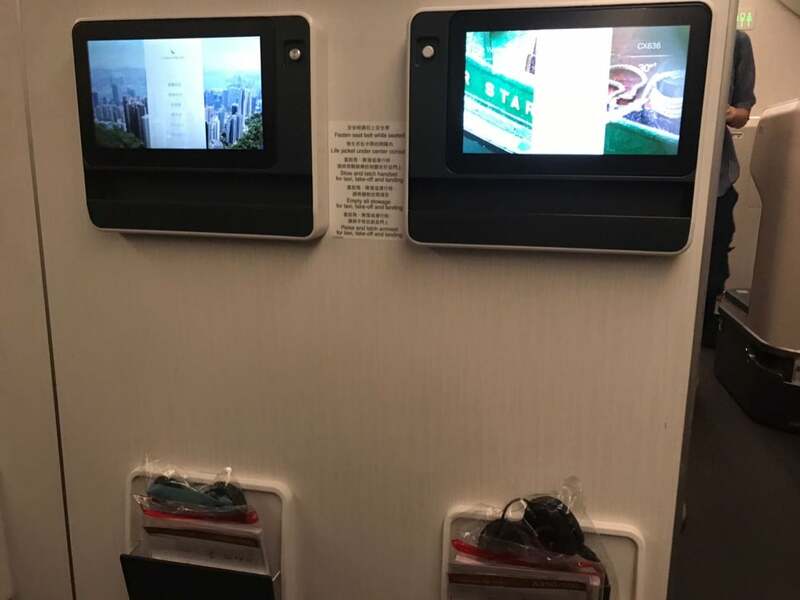 In this article, I review Cathay Pacific on the A350-900 in Premium Economy from London Gatwick to Hong Kong. 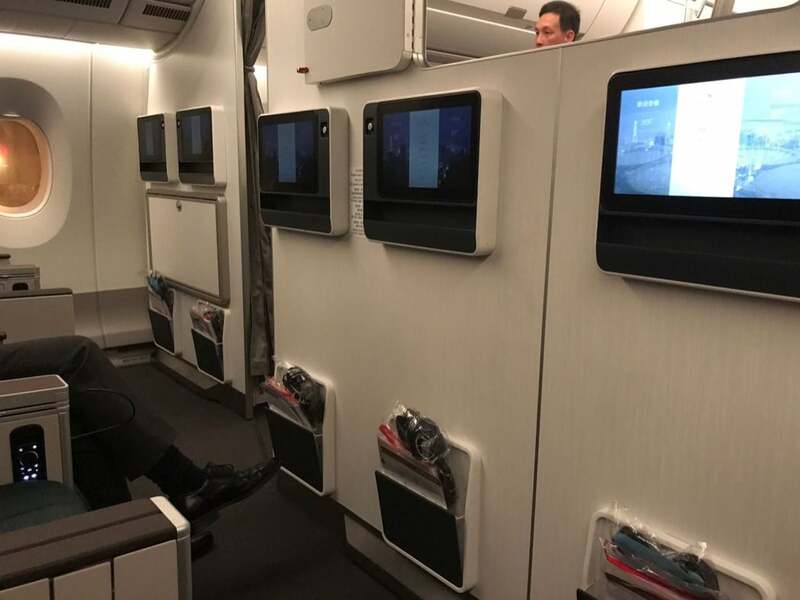 I have also reviewed Cathay Pacific A350 Premium Economy Singapore to Hong Kong. 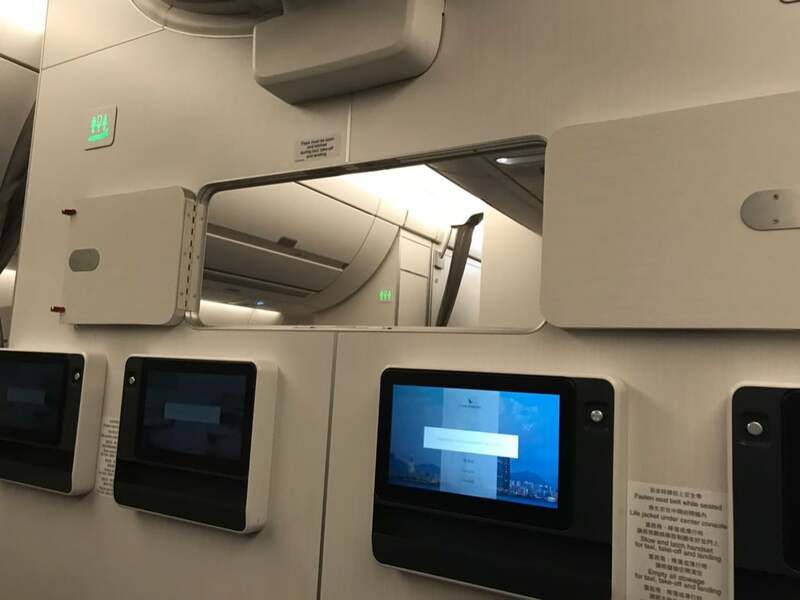 I have also reviewed Cathay Pacific Business Class on the A350. The A350-900s Airbus planes were put into circulation on Cathay Pacific’s routes in 2016. 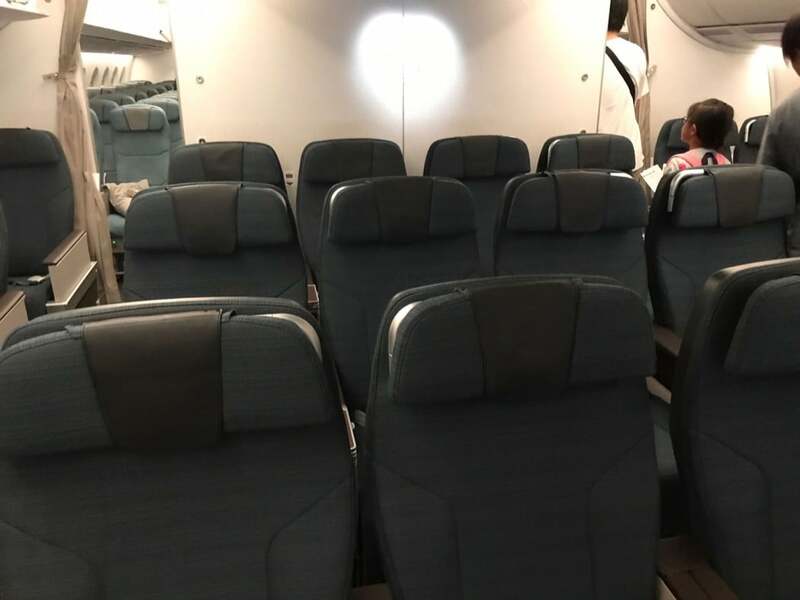 This plane’s premium economy seats are slightly narrower than in other CX plane types (18.5 inches versus 19.5 inches) but with greater seat pitch (40 inches versus 38 inches). 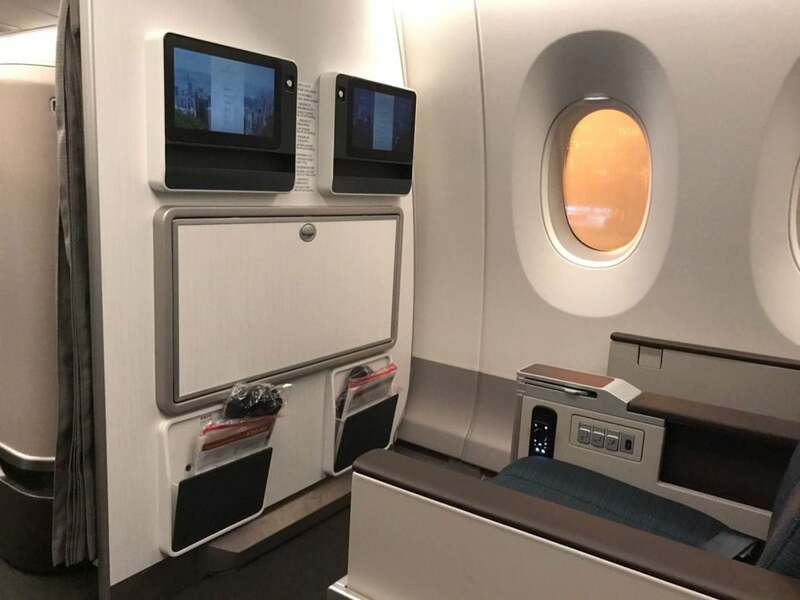 Cathay Pacific features in my top 10 best airlines for longhaul Business Class and I have also reviewed the Cathay Pacific business class on the Boeing 777-300, Cathay First Class On Boeing 747-400 and Cathay Pacific First Class On Boeing 777-300. This flight leaves from the South Terminal of London Gatwick. 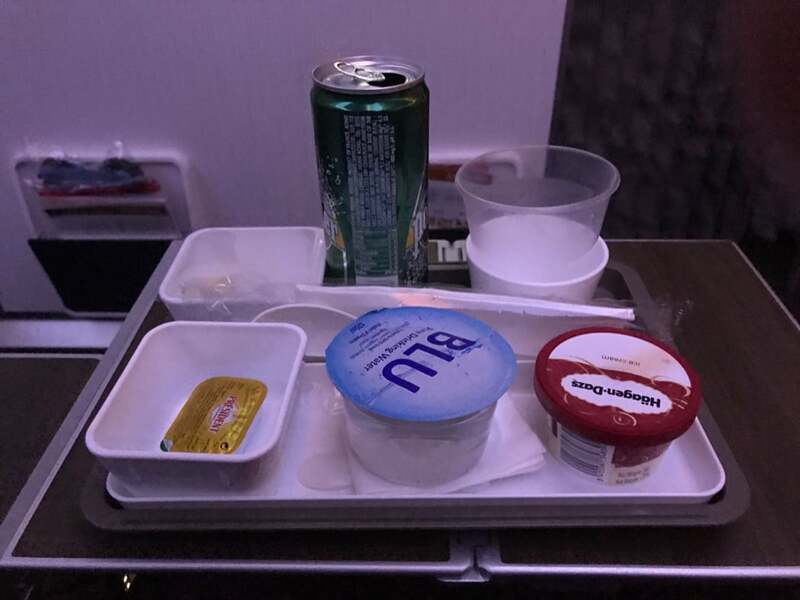 Once on board, your jacket is taken, and you are offered a glass of sparkling wine, juice or water. Flight time from Gatwick to Hong Kong is 10 hours 55 minutes. 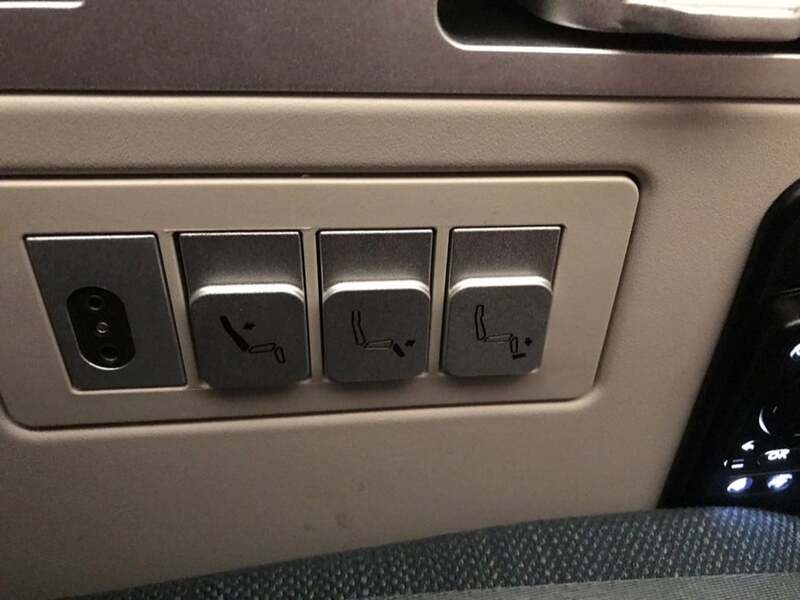 The legroom in the premium economy cabin is very good, and the central armrest wide. The seat itself is designed in shades of dark blue with brown leather on the arm and headrests, and a cushion is provided for extra back support. 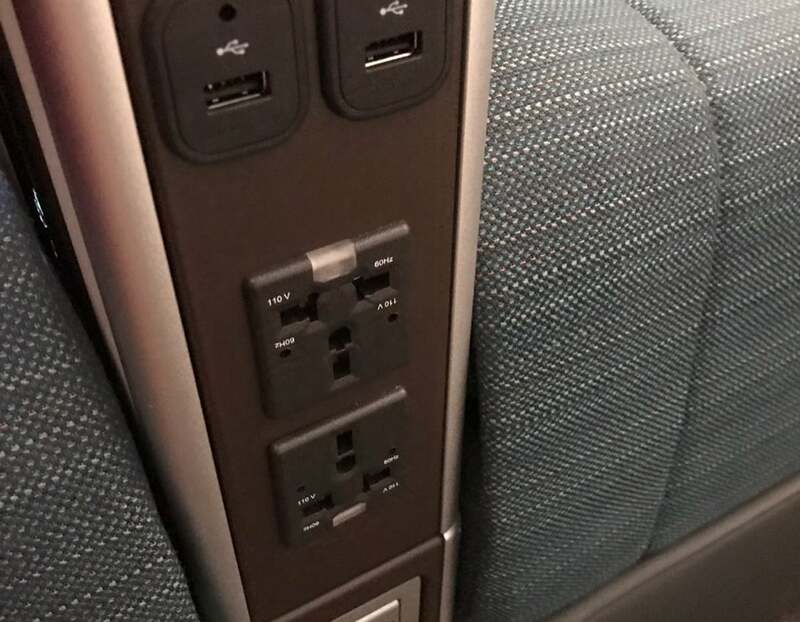 There is a small drink shelf that slides out from under the central armrest, a seat-back cubby hole that fits a phone and other sundries, and a small drop-down shelf for a tablet. 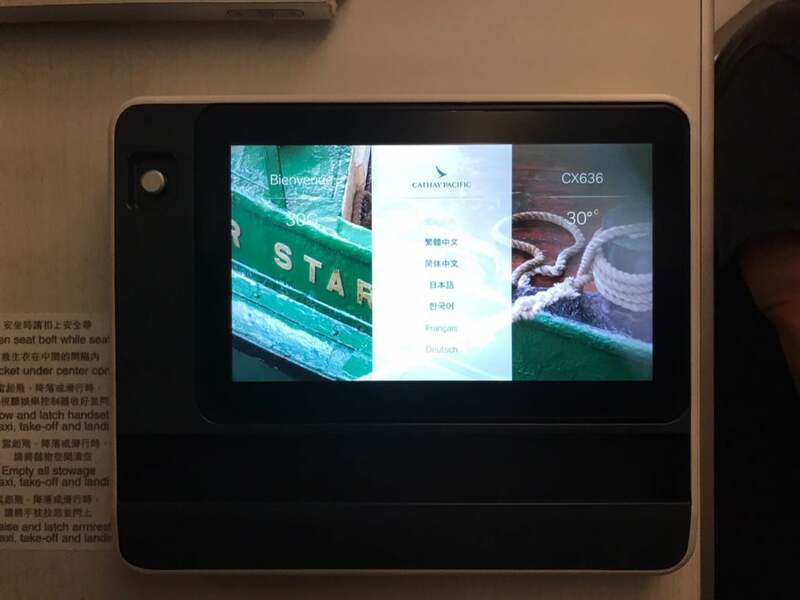 There is also a dimmable reading light next to the headrest, and the 12.1-inch touchscreen monitor is excellent, with video, music and games options. The seat reclines with an extendible footrest making sleeping much easier than in normal economy class. 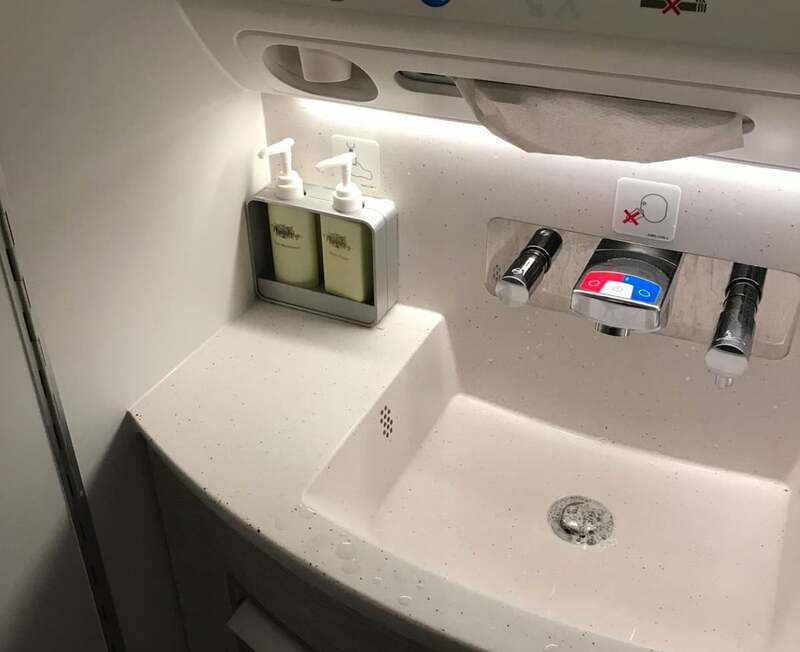 An amenity kit is provided containing eye mask, socks, ear plugs and toothbrush. Cathay Pacific Premium Economy has its own cabin section, with 28 seats in a 2-4-2, see the seatplan. As the cabin is not near either toilets or a galley, noise is not an issue so all seats are good in this cabin. I always prefer the 2’s at either side which I can share with my partner, one gets the window, one gets the aisle. Breakfast is fruit and yoghurt, plus a choice of prawn, chicken and egg noodles, or omelette, bacon, sautéd mushrooms, tomatoes and Lyonnaise potatoes. 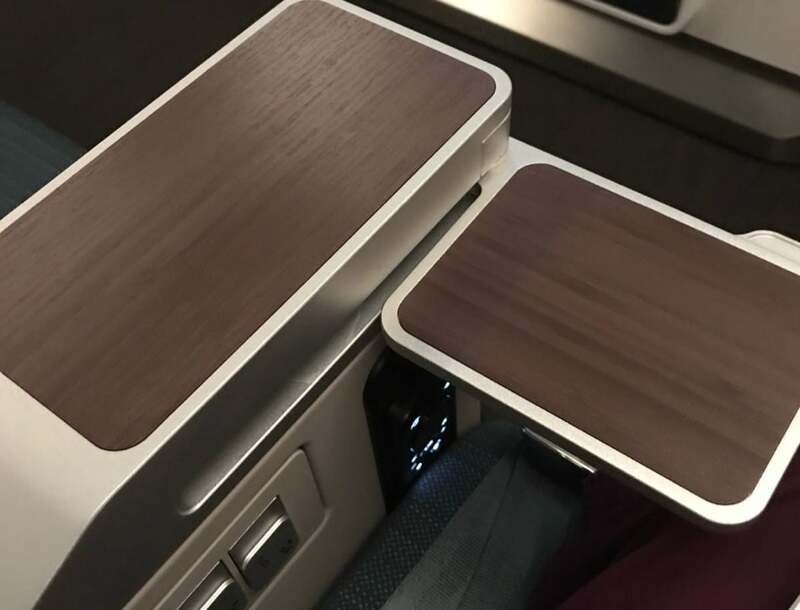 This is an excellent, award-winning premium economy product, with a great seat, decent entertainment and good service and food. 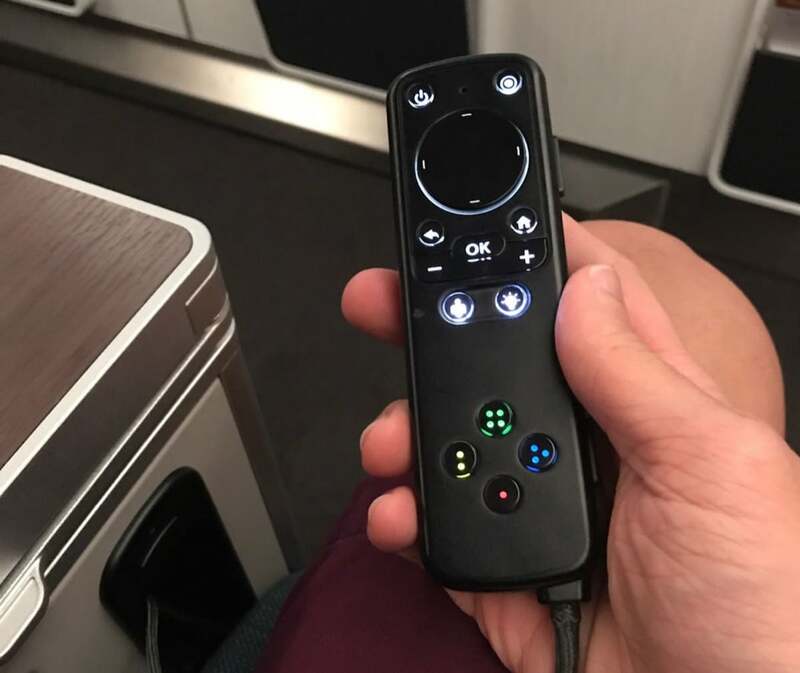 Wifi is available on Cathay Pacific’s A350s. WiFi costs US$9.95 for one hour, US$12.95 for six hours and US$19.95 for the whole flight. 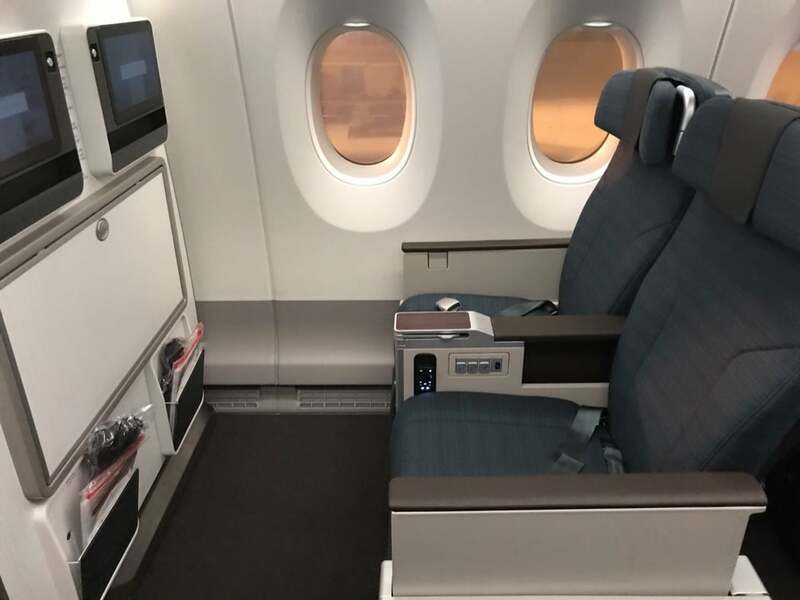 Find out who tops the list in my top 10 best Premium Economy airlines in the world, and have a read of my other Cathay Pacific Business Class flight reviews and my First Class reviews. If you want to fly away you should always check prices with our Luxury Travel Concierge before booking to get further discounts and free upgrades on luxury hotels and premium flights.